One episode is enough. I'll play the second one though. Smash wrote: One episode is enough. I'll play the second one though. For once, I'm in agreement with Smash. Disregard image. SEGA confirmed that if Episode II does well enough, we'll get Episode III, as well as IV. And possibly after Episode IV, Sonic 5. SEGA should have just thrown everything into one game instead of making it episodic. 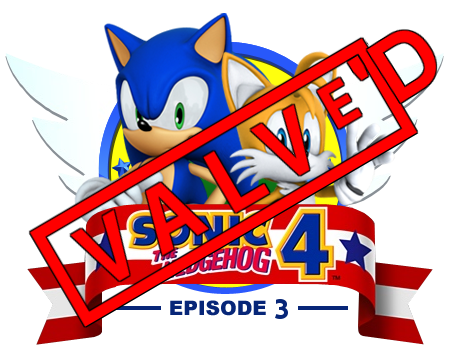 Smash wrote: SEGA should have just thrown everything into one game instead of making it episodic. I agree. Episodic releases are lousy and I personally find them just a scheme to make a few quick bucks. You mean like Half Life 2? meh, going past 3 is overdoing it since they are all more or less the same game right?or am i wrong? roshipower wrote: meh, going past 3 is overdoing it since they are all more or less the same game right?or am i wrong? We'll find out next month. I predict a bit of both. Episode II is confirmed on my birthday whee!